Choosing the correct web hosting service provider is a challenge, but if you are thinking seriously about blogging, I honestly advise you to stay away from free hosting, read on to learn why. You have most likely already seen or heard of website hosting companies that offer free hosting. Well I had a very bad experience with my WordPress blog, which was running on a free hosting provider, so I thought I would write this post to warn others. The way most free web-hosting companies work is, they offer free hosting to promote their web hosting business. Initially they offer a limited amount of space, bandwidth and support for free and later on they will require fees as your website grows. So when your website traffic grows, then you need more resources and storage and then you will need to upgrade to their premium service, which of course is not free. Really, free Web-hosting is not a bad idea for anyone who just wants to start their blog for fun, but if you are thinking of starting a serious blog as professional blogger for money, then avoid free web-hosting as they have limitations and issues, which in time will restrict your website’s growth. When I started blogging in 2010, I initially tried “free web-hosting” because I was new to blogging and didn’t have much money. But their services were so limitation and there were lots of technical issues, so I migrated to a cheap hosting service provided with a local provider, as they were providing super cheap web-hosting. But due to limitations, I have faced many problems like re-installing WordPress, several times, because of server errors, problem to create SEO friendly URL, problems with some WordPress Plugins and the major problem occurred when my blog traffic increased. Due to limited bandwidth, my blog stopped loading when blog traffic crossed their very low limit. I contacted their support but they asked me to upgrade my web hosting plan and pay more. I would not have minded this has their support and servers been in good shape to being with, but ended up moving on. So if you are a new blogger just looking for web hosting to start your blog or thinking to migrate to a new web hosting, I highly recommend that you go for a reliable, reputable and cheap shared hosting, or if you can afford it, go for a Virtual Private server. If you get even bigger and have the budget then it’s always best to have a dedicated server. There are several web hosting packages available in the market, such as shared hosting, VPS, and dedicated hosting, and for new bloggers it is always confusing to determine which the best choice is. In this post I will be writing specifically about which hosting package a new blogger should choose, and I will discuss some of the top web hosting services for beginners which are cheap and reliable. So first we will look at the best type of hosting a new blogger should consider from the various available hosting packages. Which is the best web hosting type? There are many types of web hosting packages are available like: Shared, VPS, dedicated, reseller and cloud hosting. You can further differentiate them as Windows and Linux hosting. I personal recommend Linux share hosting for any WordPress site as I am already using shared Bluehost Linux hosting for WebRevisions and ranking highly with more than 100,000PV/month. Actually shared hosting is the best for anyone who wants to start a website. As the VPS and dedicated hosting are costly, so with shared hosting, you can save money and can get unlimited resources like unlimited bandwidth and much more to fulfil your entire requirement. I personally recommend to you to use shared web hosting at the start and when you need more server resources than shared hosting provide, just move to VPS or dedicated hosting. Here are some major reasons to choose shared web hosting. At start your site will generate very low traffic. It is very cheap than dedicated hosting. Provide unlimited resource to fulfil a site need. There are some well known web hosting services like Bluehost, SiteGround, Hostgator, Dreamhost, Godaddy that proving amazing resources at low prices. But I always judge a web hosting service for its performance and customer support. Below I have recommends some of the best web hosting services to start your blog or website. If you are looking for a reliable and cheap WordPress shared hosting, I would recommend that you go with BlueHost, which is officially recommended by the WordPress community. Bluehost is cheap, reliable and have very good customer support. It offers various hosting packages including shared hosting, VPS hosting, WordPress managed hosting and dedicated hosting. Their shared hosting package is perfect for your new blog, but if you have an existing WordPress blog with good traffic, I suggest you use their managed WordPress hosting. Currently I too using Bluehost web hosting with this site and fully satisfied with its performance and spport. 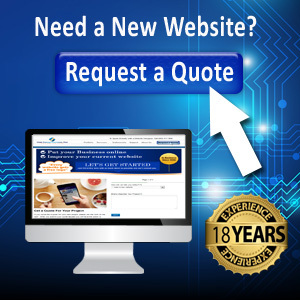 SiteGround is also a cheap, reliable and affordable web hosting service with great customer support. They offer 3 different hosting plans to select from under shared hosting category. Apart from Shared hosting, they also have Cloud hosting, Dedicated servers, and reseller hosting. For a new WordPress blog, shared hosting is powerful enough to handle your website. Which web hosting service do you think offers the most suitable hosting environment for a new blogger? I’ll check them out, thanks.